TIME: 5:30 - 7:00 p.m.
Shakti Dance ™ is a discipline where yoga meets dance. Based on Kundalini Yoga Teachings, it combines fun, joyful, graceful dance movements with traditional yogic techniques to increase flexibility, release stress and create a sense of harmony and balance. Shakti dance is a practice of dance infused with the wisdom of yoga to develop awareness and understanding of body, mind and emotions. With a unique and harmonious blend of flowing asanas and fluent movements, Shakti dance induces a deep state of peace and joy. No yoga or dance experience is necessary. Olya Zimina (Dass Shakti) is a certified Kundalini Yoga Instructor. She came across Kundalini Yoga about 6 years ago and it was love at first sight. 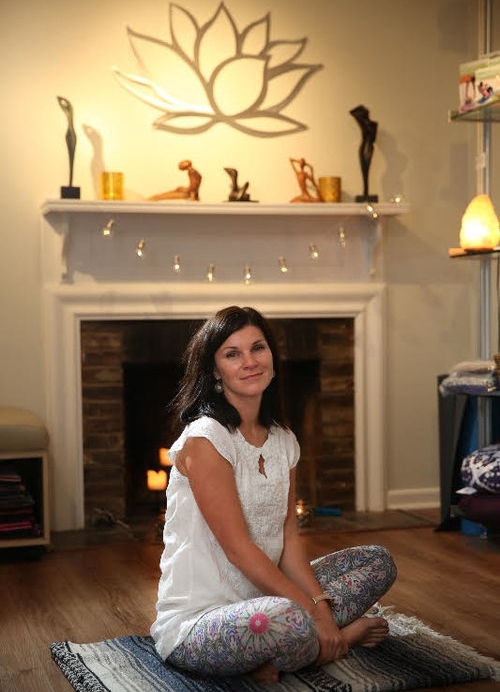 After moving to the United States 5 years ago, Kundalini turned out to be a way to start her life anew, adapt to a new culture, and connect to an amazing community of people. Regular practice cured her chronic back pain. Most importantly, it gave her a whole new perspective about herself and the world. On the path to deeper self-awareness, yoga peels you like an onion, one layer after another. The result is the new version of YOU - more radiant, healthy, strong but still humble. Olya has a warm personality, and enjoys sharing her love of yoga and meditation with others!